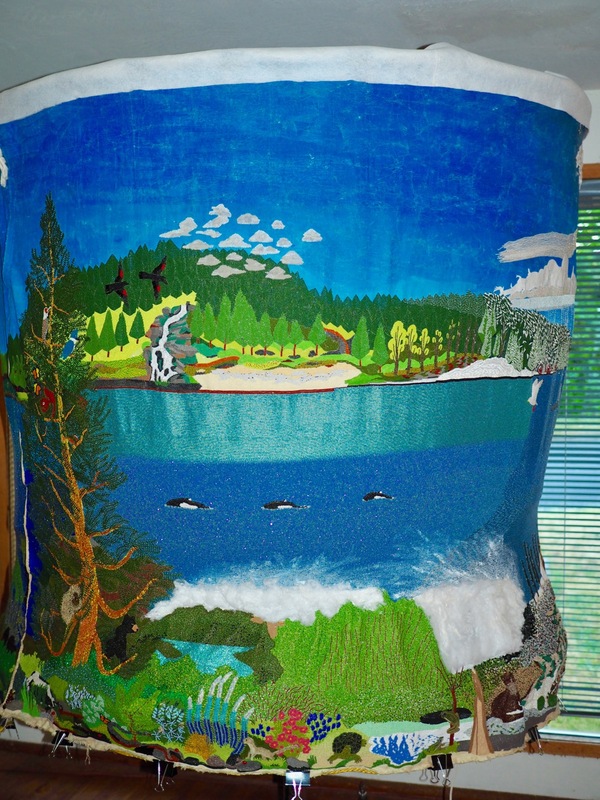 “Four Seasons of Water; Pursuing Clean Water for the World,” a work of art by Russell Morton (Eugene). “Four Seasons…” is a beaded artistic tribute to water; a 15’ wrap around motorized canvas with over 2 million seed beads which took over 18,000 hours to create. Russell will talk about his artistic journey and answer questions from 5-7 PM on the 19th, 20th, 22nd, 24th, and 26th.